My name is Brent. I’m married to the wonderful woman that has spearheaded this online doula training course. In fact, I set her up on this “blog” about 10 months ago, kind of on a whim. (It took me all of an hour or two to do so.) Almost a year later, she’s managed to create a service that has proven to generate substantial interest for prospective doulas. I’ve begun to take it more seriously. By way of updates, we’re making significant improvements to the course materials and resources available to our paying students. While the rest of the site may appear a bit more dormant, we’re doing a lot of unseen work on the back end. We expect that with improved course materials, that the price of the course will also increase. (Rachel won’t let me push it too high however, as she’s very committed to training as many women as possible at the lowest possible price. ) Immediate improvements are being made in the course manuals, and will be implemented as they become available. Some of our long term plans are even more exciting, but we have to work in “baby” steps until we can take this on as a full time gig. In discussing the above mentioned concern with my wife, I asked her a simple question: what percentage of births happen outside of the hospital? Her quick response was one percent(1%). If this is in fact the reality of the world in which we live, then it would appear that without exception that every woman that trains to become a doula should be versed and experienced in working within the medical model of childbirth. I can feel the tension and anxiety that such a statement may be creating within you. Perhaps your idea of birth is one without doctors and hospitals. Arguably, that’s acceptable. But statistically, you may be limiting yourself to just one percent of expectant mothers, and completely avoiding those who might benefit most from your service as a doula. Taking a step back, as I discuss with Rachel the purpose of the New Beginnings Doula Training course, she has concluded that it is ultimately to provide the complete support and care that a doula provides to as many women as possible. Notice the difference. She’s not wanting to training as many doulas as possible; she’s wanting to train doulas to serve as many expectant mothers as possible. Given that mission and focus, it is inevitable that a doula would need to be versed and trained on how to function within a medical environment. Fortunately, the work of a doula begins long before the hospital and ends well after it. The work of a doula is to prepare a woman to descend into the valley that is childbirth, both internally and externally. The hospital stay, and anything that may be experienced as a part of it, is a reality for most birthing women. Doulas do well to be versed and experienced in the medical world to help their clients traverse this challenging experience. That the New Beginnings Doula Training course may appear a little heavy handed on the medical terminology may be something of a setback for some aspiring students. Admittedly, as I’ve read through the course materials, there is terminology used throughout the course that is not familiar to me — maybe because I’m a man, but mostly because I reside outside the medical world, as do most of us. I’m working with my wife to smooth out this transition for students. What this isn’t is a medical oriented doula training program, as opposed to a natural or home birth oriented program. This course offers a holistic approach to care. Holistic (which was a foreign term to me) means “complete” or “the whole picture”. While there is great deal of medical information presented in this course, there is abundant and increasing information being prepared and presented about natural treatments, such as working with essential oils (natural herbal extracts), acupressure, and reflexology. Such procedures and processes have helped in relieving pain and anxiety but have not be extensively clinically tested as have have more traditional medical remedies. 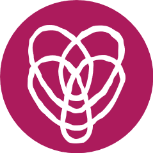 New Beginnings Doula Training looks at both models of care (medical and natural) and takes the best in both approaches and presents that as a comprehensive treatment and training. Given that approach, and the passion that so many women bring to the table with this line of work, it is both an honor and privilege for me to work with you and my wife to make this the best doula training program available online.